Vitamin D is essential for strong bones, muscles and overall health. 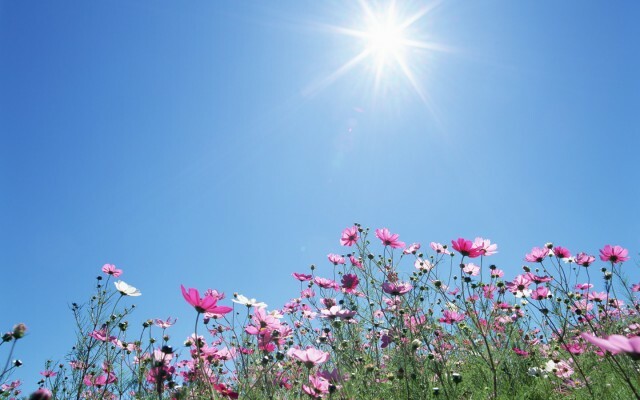 Here are ten tips to help you get enough vitamin D.
Take a balanced approach to sun exposure. UV radiation from the sun is the best natural source of vitamin D, but too much sun exposure can increase your risk of skin cancer. From May to August (in Southern Australia), get two to three hours of midday sun exposure per week. UV levels fall below three from May to August. At this time, most people need two to three hours of midday winter sun exposure to the face, arms, hands (or equivalent area of skin) over the course of a week. People with naturally very dark skin may require three to six times this amount of sun. From September to April (in Southern Australia), get a few minutes of mid-morning or mid-afternoon sun exposure each day. UV levels reach three and above for much of the day from September to April, and sun protection is required. At this time, most people need just a few minutes of mid-morning or mid-afternoon sun exposure to the face, arms, hands (or equivalent area of skin). People with naturally very dark skin, may require three to six times this amount of sun. Use a combination of sun protection measures between September and April, when UV levels are three and above. Use a combination of clothing, sunscreen, hats, shade and sunglasses. Sunscreen use should not put you at risk of vitamin D deficiency. Never use a solarium to increase vitamin D. A solarium gives off dangerous UV radiation, increasing the risk of skin cancer. Speak to your doctor if you are at risk of low vitamin D. You might be at risk of low vitamin D if you have naturally very dark skin, get little or no sun exposure, have a medical condition that affects vitamin D metabolism, or take certain medications (for example, those that increase the breakdown of vitamin D). Breastfed babies who fall into the above categories, or have mothers with low vitamin D, can also be at risk. Exercise daily. Regular exercise assists with production of vitamin D.
Eat enough calcium. Vitamin D and calcium work together to make your bones strong. Make sure you get enough calcium by including a selection of dairy products, leafy vegetables, fish, tofu, Brazil nuts and almonds in your diet. Eat foods rich in vitamin D. Good sources include eggs, liver, and fatty fish such as mackerel, herring and salmon. Some margarines and low-fat milks have added vitamin D. Food, however, only makes a small contribution (approximately 10 per cent) to the body’s overall vitamin D levels and it is difficult to get enough vitamin D from diet alone. Speak to your doctor before taking supplements. Vitamin D supplements may be helpful for some people, but you should speak with your doctor first and take them strictly as directed.